In a Nutshell: Energy providers across the country work around the clock to keep their customers’ lights on and still put financial resources aside to make the communities they serve a better place. Entergy regularly gives back to charitable causes while promoting economic opportunities among its 2.9 million customers in Texas, Louisiana, Mississippi, and Arkansas. The company’s Workforce Development Initiative committed $5 million in grants to programs that create a more skilled workforce. Entergy annually awards grants totaling $16 million to almost 3,000 nonprofits in communities that it serves. Anyone who has had their power go out right when a movie is getting good, or during the last stages of cooking dinner, knows the true definition of frustration. Most consumers take electricity for granted — until it’s not working. The same can be said for their electricity provider. When things go smoothly, no one thinks about their energy host. But when the room goes dark, that’s when the angry calls come rolling into headquarters. Another thing often forgotten is how some electric companies give back to the communities they serve in ways other than climbing tall poles to fix broken lines during thunderstorms. Many power providers are key contributors to community nonprofits and charities that work with underserved citizens. Among the leaders in this movement is Entergy — one of the South’s leading electricity providers. The company’s 13,000 employees work around the clock to deliver 30,000 megawatts of electrical capacity and nearly 9,000 megawatts of nuclear power to 2.9 million utility customers in Arkansas, Louisiana, Mississippi, and Texas. Behind the scenes, the company dedicates millions of dollars annually to charitable and community causes that provide workforce development and economic growth in the markets it serves. “We continuously look to enhance our workforce by attracting, recruiting, and retaining a skilled, high-performing, and diverse workforce that reflects the communities we serve,” said Andrea Coughlin Rowley, SVP of Human Resources at Entergy. The centerpiece of Entergy’s community causes is its Workforce Development Initiative. The $5 million plan participates in building the highly trained workforce in demand by complex technologies. “Workforce development is a continued focus that enhances opportunities for growth and development in the communities we serve in collaboration with business and community leaders throughout our region,” Andrea said. The company also provides emergency bill-payment assistance to senior citizens and disabled individuals in crisis through the nonprofit The Power to Care. 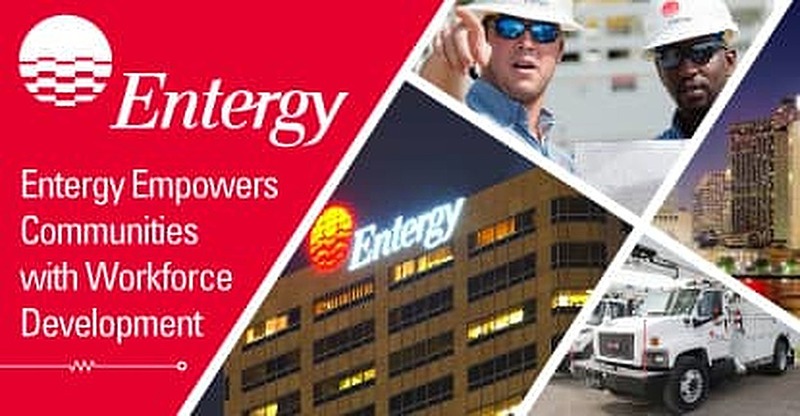 Entergy vowed to dedicate $5 million over a five-year period toward its Workforce Development Initiative that serves the four states in the company’s utility service area. Grants are awarded for industry-specific workforce training to improve the quality of the applicant talent pool. School-to-Career Readiness grants fund and support programs that improve the quality of the workforce pipeline. Andrea Coughlin Rowley, SVP of Human Resources at Entergy Corporation. 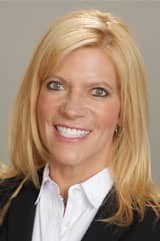 “This initiative provides workforce training grants to develop or expand programs that produce trained, certified workers, and School-to-Career Readiness grants to ensure graduating students have the necessary skills to transition successfully to a career or college or secondary training,” Andrea said. Grant money was shared by several programs. Jobs for America’s Graduates, a program that equips at-risk students with the tools they need to stay in school, remain on-track, graduate on time, and successfully transition to a career or college, received $500,000. LED FastStart focuses on workforce training for advanced manufacturing technology jobs in northern Louisiana through its Certification for Manufacturing program for high school students. A total of $1 million was given through the initiative to support Louisiana workforce training. The money was used for skills training programs and scholarships for young students. In early 2017, the initiative donated $600,000 to build a pipeline of talented citizens in Texas. A similar grant in Arkansas aided a state student-loan forgiveness program. Entergy’s charitable giving doesn’t end with its Workforce Development Initiative. The company’s $150,000 in grants to Hurricane Harvey victims in Southeast Texas gave citizens much needed help toward recovering from the devastating floods in September 2017. The company also partnered with United Way of Southeast Louisiana and the City of New Orleans to create the J. Wayne Leonard Prosperity Center. The center, named in honor of Entergy’s longest-serving chairman and CEO, is a one-stop resource connecting low- to moderate-income individuals and families with employment and financial capability services. Perhaps the most impactful, yet anonymous, way that Entergy gives back to the communities it serves is through the nonprofit The Power to Care program. Believing that no one should have to choose between food or medicine and electricity, the agencies provide bill-payment assistance to senior citizens and disabled individuals in need. Entergy shareholder contributions match donations from new pledges and one-time donations up to $500,000 annually. No donation money is used for fundraising and administrative purposes, and 100% of all money raised goes to citizens in need. During a recent trip to New York City, I marveled at the number of lights illuminating the sky as our return flight passed over neighborhoods and business districts. One could easily take for granted what goes into generating and maintaining the power needed to run cities of any size, let alone a metropolis like the Big Apple. Every day, thousands of Entergy workers put in countless hours to keep regions of Texas, Louisiana, Arkansas, and Mississippi lit, heated or cooled, and working at peak efficiency. Aside from electrical services, Entergy also provides the areas it serves with charitable and economic development resources geared toward creating a more skilled, prosperous workforce among its customers. That’s the type of success that cannot be measured in dollars and cents. So the next time your power goes out during the last five minutes of the season finale of your favorite show, instead of yelling out your favorite four-letter word, send a thank-you to the linemen who are out there getting you back online, and all of the people working behind the scenes to make your community a better, brighter place.